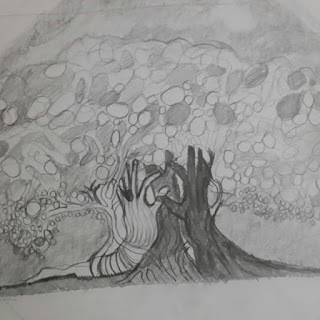 The tree at the library inspired this drawing. It was meant to be a painting. 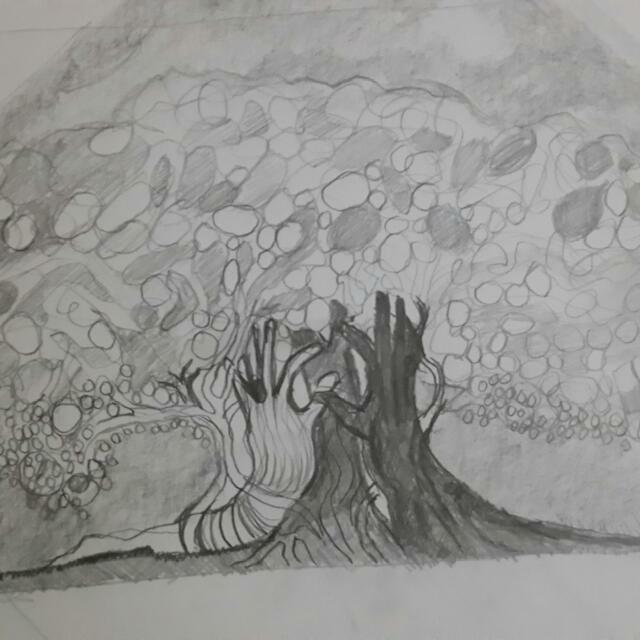 Perhaps I shall paint it on the next canvas once I am done struggling with a big canvas that is not nearly done. With the amount of paint I have used it might well end up a sculpture. Celebrating Rosh Hashanah with my Tree of Life.